With many shark species teetering on the brink of extinction, the supplement retailer General Nutrition Center (GNC) is being targeted for its sale of shark cartilage pills. An online petition calling on the company to stop offering shark cartilage supplements has gained nearly 4,000 signatures. 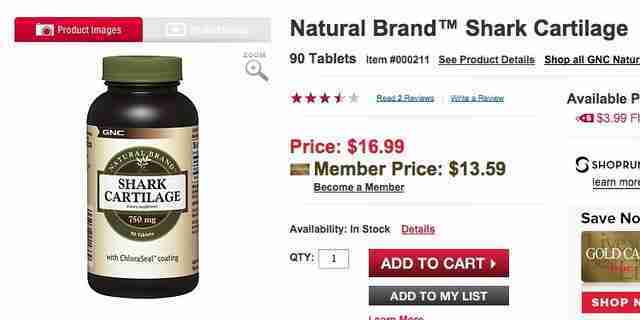 GNC sells the product with the description, "Shark cartilage contains mucopolysaccharides, including chondroitin. Chondroitin provides dietary support for healthy joints and bones." We strongly urge General Nutrition Center to remove shark cartilage products from its stores, and to explain to its customers why it is taking this decision, as public awareness of this issue is essential to improving shark conservation worldwide. According to a 2013 study, about 100 million sharks are killed every year in commercial fisheries. Products like shark fin soup and cartilage pills drive this industry. 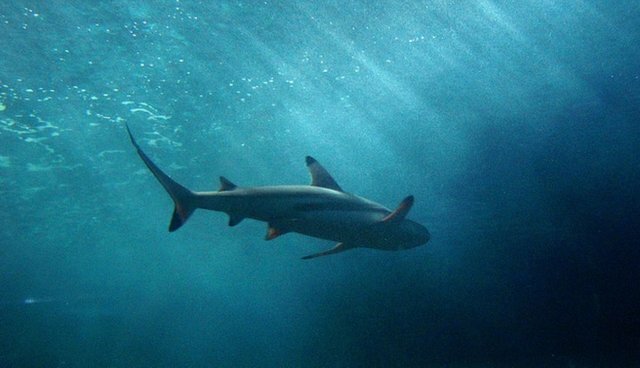 While shark cartilage has traditionally been used to treat joint problems and cancer, there is no clinical evidence to support the claims that shark cartilage has any medicinal effect. One study that tested the supplement's effectiveness on cancer patients found that the treatment "had no salutary effect on quality of life." Claims that the product acts as a treatment have also been disputed by the American Cancer Society, the FDA, Sloan- Kettering and Johns Hopkins University. The Dodo has reached out to GNC for comment.